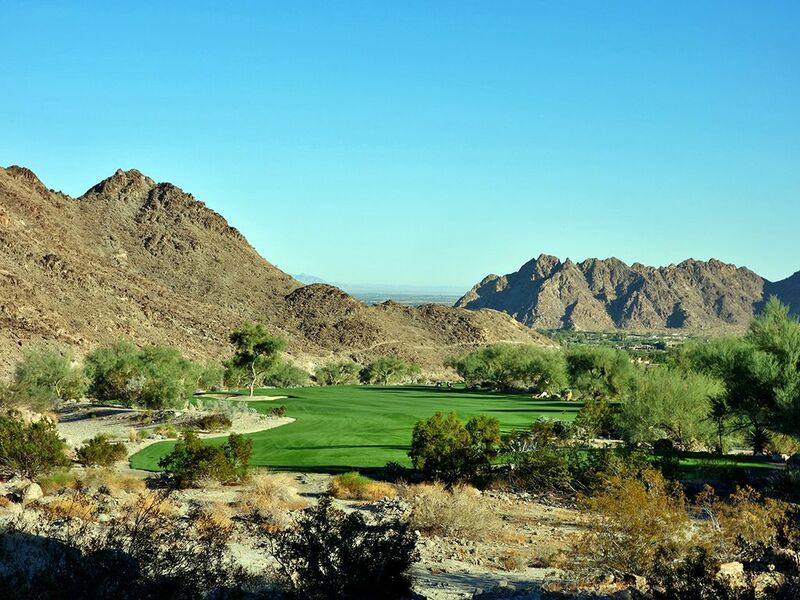 Course Website: Official Website - Visit The Quarry at La Quinta's official website by clicking on the link provided. Accolades: Ranked 11th in California on Golf Course Gurus' Best in State list and 136th overall. 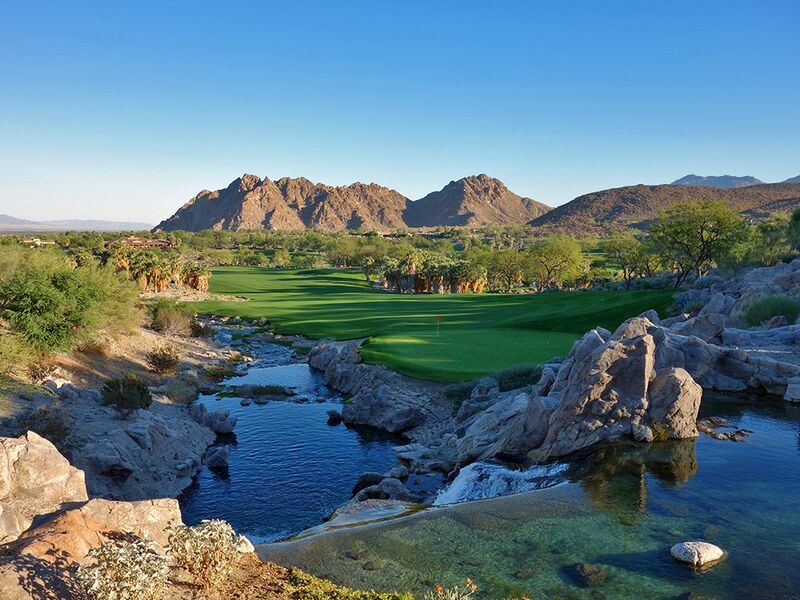 What to Expect: The Quarry at La Quinta is Tom Fazio's handiwork located in the desert of Southern California's Coachella Valley. The upscale club has a reputation of maintaining the best conditions of virtually any course in the country and it certainly lives up to the hype. In fact, the running joke at the club is that they'll offer a free membership to anyone that can find a weed on the course. 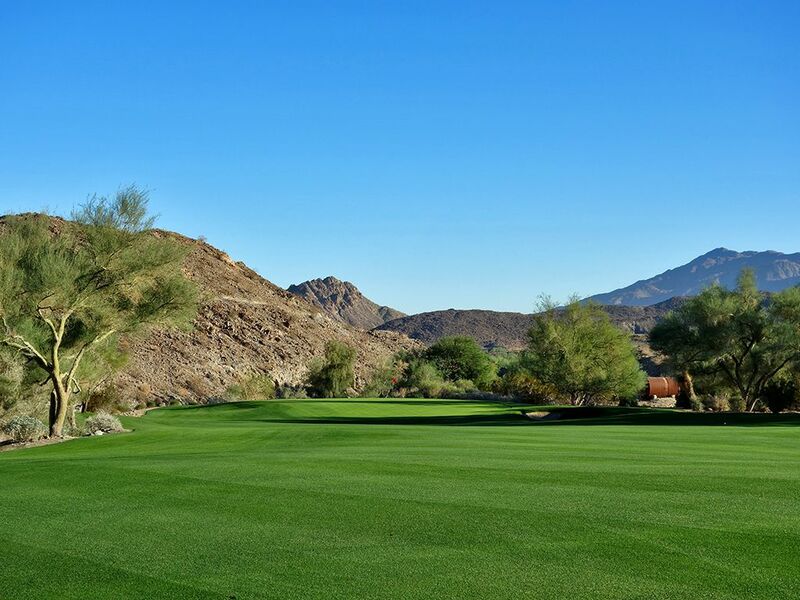 But The Quarry is more than just immaculate conditioning, the Fazio design boasts 300 feet in elevation changes, impressive aesthetics, and architecture that is easy to enjoy. 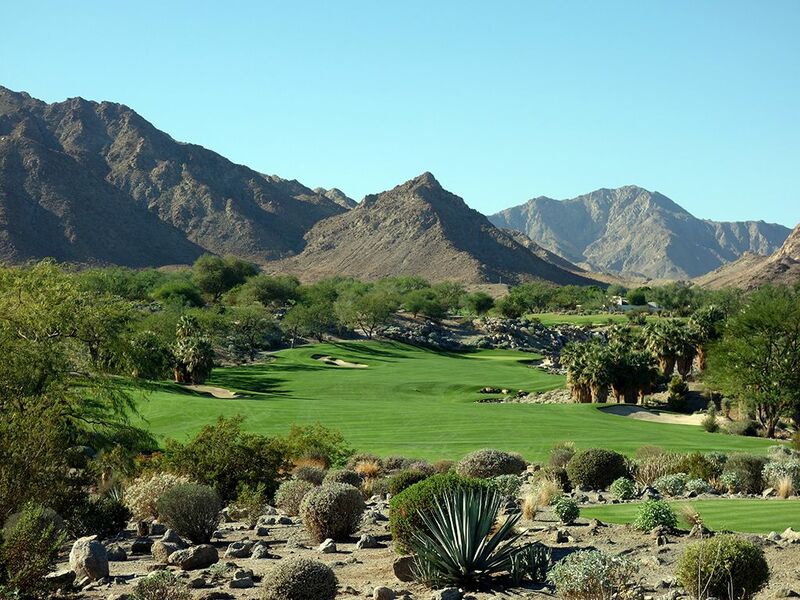 While many desert courses feel overly penal with tight fairways and devesatating waste areas, Fazio built a design that can be enjoyed by all skill levels over and over again rather than going for a super dramatic design that beats you down over time. The back nine is the more compelling side of the course as the routing goes out through a former rock quarry and boasts hole designs that are both stronger and more memorable. 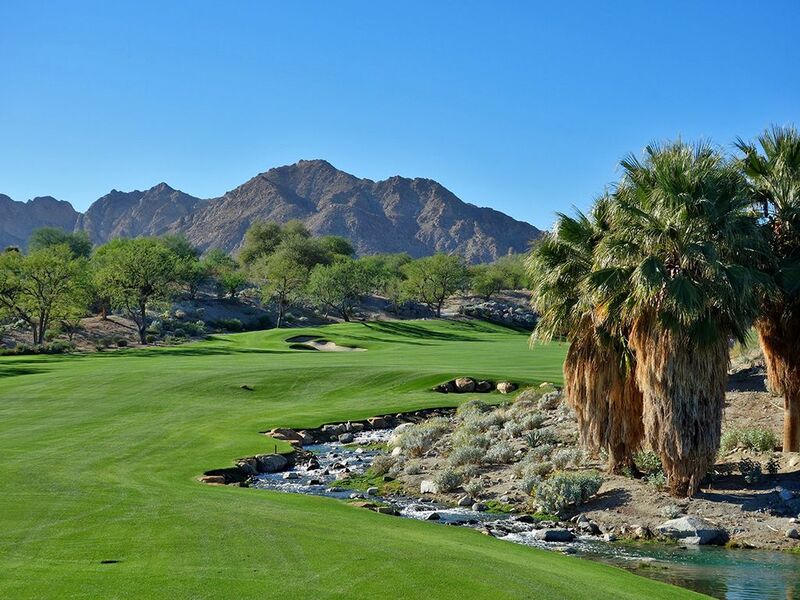 The back nine also stages a series of water features that work for the course as an oasis feeling in the desert rather than feeling overly manufactured. Before your round at this club with a no tee time policy, you can get warmed up at the impressive double ended practice range that has multiple targets and Pro V1s placed in a 'Q' pattern that emulates the club's logo. When you head to the first tee you'll do so in your electric cart with the option of taking a caddie with you. Afterwards, you would be remiss to not tee it up on the 10-hole short course that features some holes that would be more than worthy of being featured on the championship length course. Whether it is playing with the kids or a friendly competition with your buddies, the short course at The Quarry is one of the best designs I've ever encountered for a par three course. 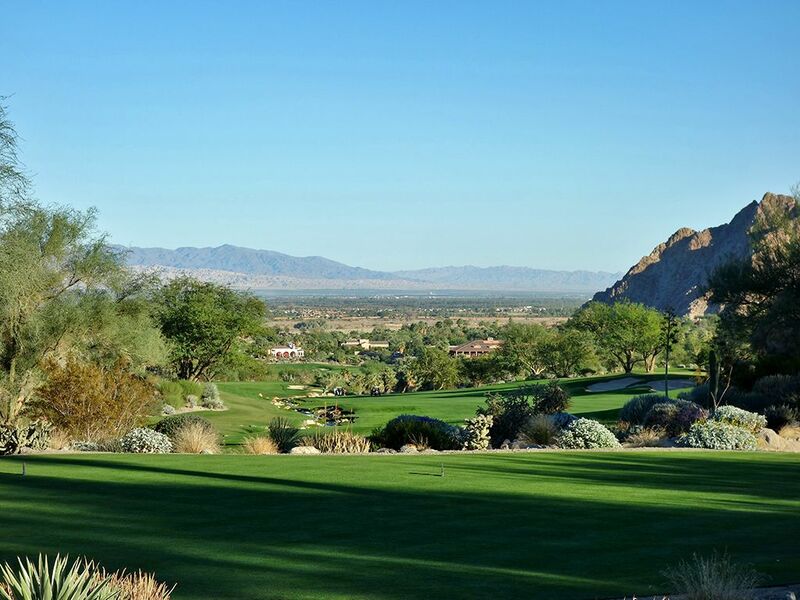 In the end, The Quarry at La Quinta is a top shelf club in every aspect. 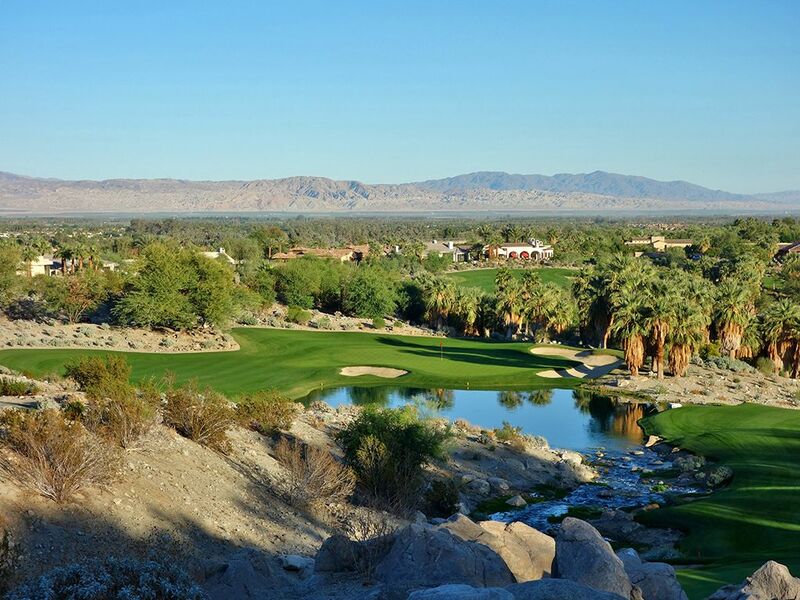 While the full 18 holes aren't quite as compelling as other elite Fazio designs, the course stands as the best track in the Palm Springs area and a diamond in the desert. 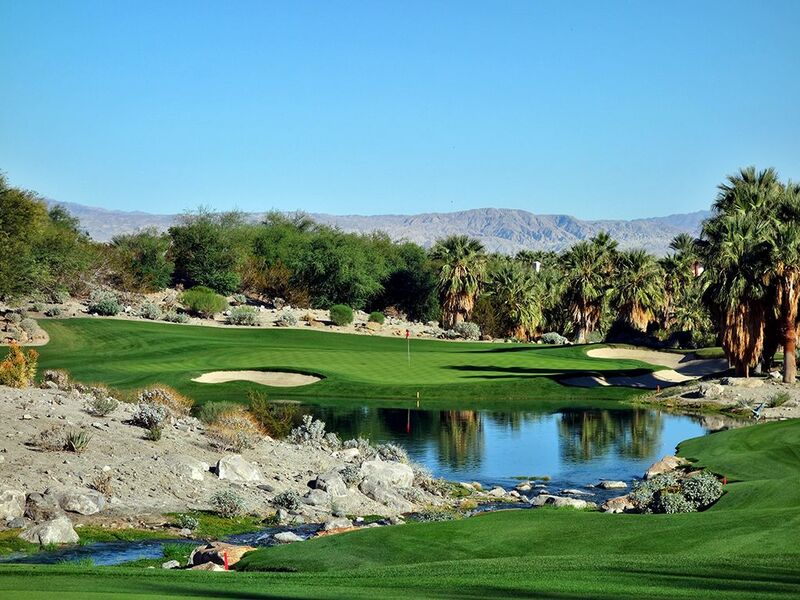 Signature Hole: 17th Hole – 223 Yard Par 3 – The similarities to Shadow Creek are abundant on The Quarry's final one-shotter with a virtual oasis in the desert highlighted by a babbling brook, reflective pond, bearded palm trees, white sand bunker, and lush green grass. After balancing your way across the rocks in the brook enroute to the back tee box, players face a heroic shot over the water to a green protected by a large bunker on the right and a smaller bunker on the left. Hitting this green in regulation is an impressive and rewarding feat as you watch your ball descend from the elevated tee towards the putting surface. A large bailout area is afforded left of the green for players that are intimidated by the 200+ yard carry to the putting surface and provides a decent angle for getting up and down from. Fazio is known for creating stellar holes down the stretch of his courses, and the 17th is one of his best. 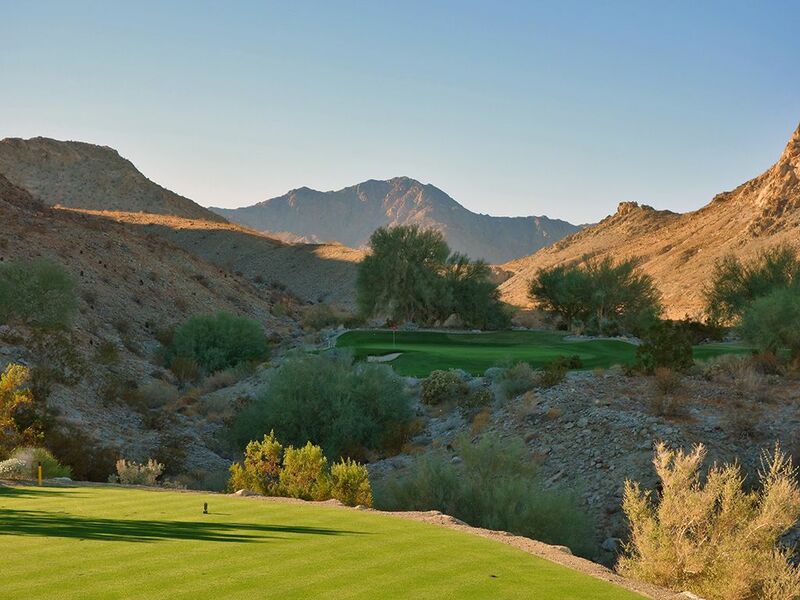 Best Par 3: 14th Hole – 173 Yards – The shadows cast early on the 14th that enjoys the most remote location on the golf course on a unique sliver of real estate between two mountains. 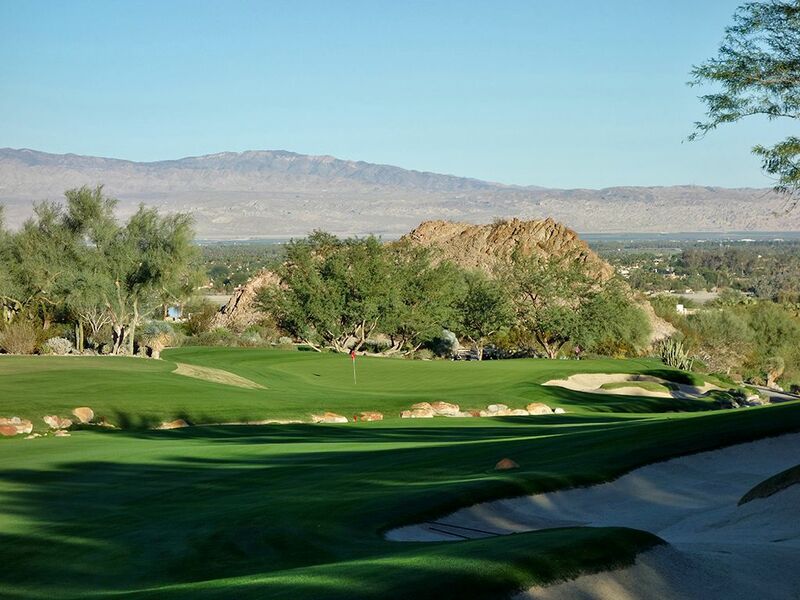 A forced carry over the desert is required enroute to the green that features a small bunker at the front left portion and protects the shallower half of the green. The bailout area is to the right where some reprieve is offered the golfer that is feeling faint of heart trying to attack the flag. It's a fun hole and rewarding spot to make the turn to head back towards the clubhouse the rest of the way in. Morgan Pressel took to Twitter in 2018 to announce she picked up her 14th all time ace on the on the 14th. Best Par 4: 16th Hole – 454 Yards – Like a good early 90s Brad Pitt movie, a river runs it is the theme of this hole as well . . . eventually. Water starts on the left side of this hole before cutting across the fairway and fronting the green to provide a formidable hazard to contend with on the approach shot. A poke of 300 yards off the tee can end up in the bunker on the right, but if you split the river and the sand you are in perfect position to attack this green. The front third of the putting surface is pretty accessible which is why Fazio threw a bunker on the right to tighten up the landing zone. The green then goes over a rise before sloping off to the right to a small shelf that can provide some devilish pin placements. With the mountains to your back you get to play this hole downhill so take advantage of the extra carry off the tee and account for it on the approach on conquer this well done two-shotter. Best Par 5: 10th Hole – 521 Yards – The back nine starts with a bang with perhaps the most memorable hole on the property. The 10th is a reachable par five that utilizes the Santa Rosa Mountains as an impressive backdrop to play towards. A fairway bunker sits on the left right while the right side hosts a group of palm trees that block the player's view of the water hazard that lies in wait behind. In fact, a series of three ponds are found through that portion of the property which are tied together with a creek that waterfalls behind the 10th green. A second bunker comes into play on the left side of the fairway 100 yards from the green before the fairway tightens up as it ascends to the putting surface. Missing the green to the right will result in your Pro V1 tumbling to the creek and being send downriver to the next awaiting pond. Players going for the green in two should play a draw into the green since the hill left of the putting surface will contain your ball and possibly give you a kick onto the green for a look at eagle. The aesthetics of the rocks, water, trees, and mountains are absolutely top notch. Birdie Time: 8th Hole – 143 Yard Par 3 – The drop shot 8th hole is your easiest green in regulation and a great chance to throw a birdie on the scorecard. 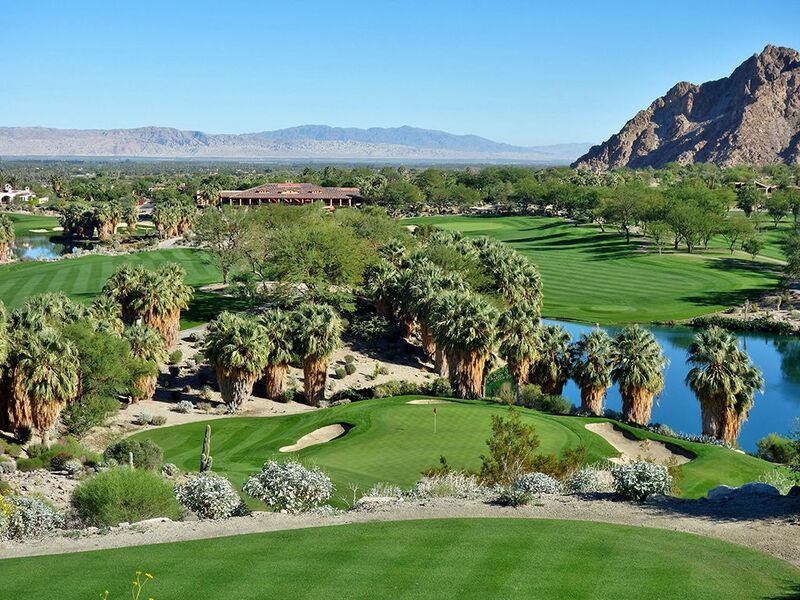 After taking in the impressive view afforded by the bearded palm trees surrounding the green paired with the pond and mountains in the distance, take dead aim at the flag with the confidence that a scoring club in your hand gives you. Your anticipation lingers as you watch your ball plummet nearly 100 feet enroute to the 35 yard deep green that is protected by a quartet of bunkers. After sticking it tight, pull out the flatstick and roll it in for a two and walk off this green with a smile on your face; it is definitely a fun hole to play. Bogey Beware: 15th Hole – 614 Yard Par 4 – Players come to the 15th and realize two sad things. First, they are about to leave the most isolated part of the golf course tucked in next to the Santa Rosa Mountain. Second, they are about to face the toughest hole on the golf course. Tipping out at a whopping 614 yards, the 15th is meaty is every sense of the word. The tee shot needs to avoid the bunker on the left side of the driving zone in order to set up an decent chance for success, so hugging the right side is recommended. From the right side of the fairway players are blocked out from any view of the green and have to play with some faith back towards the left side that is framed by the mountains. The approach shot plays to a green that is pinched on the right by a bunker and a putting surface that is tiered front to back which can create some putting challenges. It is just a lot of hole where you cover enough yardage that something can go wrong pretty easy.